The EH101/US101 proposed as the new U.S. presidential helicopter has both proven performance and combat experience-and it flies well, too. 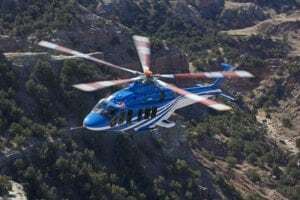 The competition between the AgustaWestland US101 and Sikorsky S-92 for a new presidential helicopter is drawing to a close, with the winner expected to be announced next month. For the US101 program, Lockheed Martin is the prime contractor responsible for systems integration, while AgustaWestland and Bell have formed an Aircraft Joint Venture (AJV) company, AgustaWestlandBell, to be a single subcontractor under Lockheed Martin. Lockheed Martin already has a 13-year history with AgustaWestland, having been prime contractor for the delivery of 44 EH101s to the British Royal Navy. "The AJV will be responsible for producing the aircraft in the United States. It will make the determination where to buy things, how it will buy things and who is going to manufacture what. They will source to AgustaWestland, to Bell and to other vendors. They will act as the aircraft design authority. 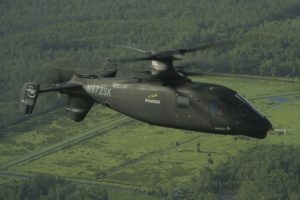 The goal is to bring production of the aircraft and its sourcing into the United States," according to Steve Moss, president of Arlington, Virginia-based AgustaWestland Inc.
For the U.S. market, specifically for the VXX program, the Lockheed Martin team has created a group of "200 partner companies from 41 states so far," Moss said. "There are a lot of teammates on a program of this complexity, besides the ones who are obvious, such as for the engines." The EH101 is certified to use either the Rolls-Royce/Turbomeca RTM322 or the General Electric CT7. The GE CT7-8E is planned for the presidential configuration. At press time, Lockheed Martin had only announced GE for its engine; Palomar Products of Rancho Santa Margarita, California for the secure communications; and ITT in Clifton, New Jersey and Rolling Meadows, Illinois-based Northrop Grumman for special mission equipment. Additional suppliers will be announced at a later date, according to Steve Ramsey, vice president and general manager, Lockheed Martin US101 program. An advantage held by Sikorsky in the VXX competition is the historical one. U.S. presidents have flown in Sikorsky helicopters since President Eisenhower became the first president to fly in a helicopter in the '50s. However, that is countered by the fact that "you want the president to fly in the best helicopter possible. End of story," Moss said. Another issue could be two engines, as on the S-92, versus three engines, as on the US101-the feeling being that a third engine simply adds weight and increases maintenance costs by a third. The third engine is one of the advantages of the US101, Ramsey said. "The extra engine provides the extra margin of safety. If an engine is lost, it is still possible to continue to fly the president to a secure location. We don't assert that you would intentionally fly the president with one engine out, but we do believe that he should be able to land in a secured site." Moss added that it is not an issue in that it is not a matter of two engines or three, but rather a matter of wanting available horsepower to the transmission. "Three engines give you more power if your transmission can take the power. The third engine gives you added safety. If you should lose one of the engines on take-off, you can still continue the flight and perform the mission. The difference between our design and other helicopter designs is that most of the systems are triple redundant. 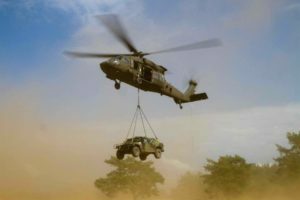 What that means for the mission is that with twin-engine helicopters, such as the (UH-60) Black Hawk, if you lose an engine, you can land safely, you can put it down. The EH101 is designed so that you can continue the mission. You don't have to put it down or go back. That is the advantage of triple redundancy. It allows you to be safer and perform your mission better." Another advantage of the US101 is that it has a cabin one-third larger than the competition, Ramsey said. "When you're talking about an office in the sky for the president, you really need that space to put all the electronic systems and other types of office equipment that makes it akin to the Oval Office. He will be able to walk out of the Oval Office, step into the helicopter and continue to work. Basically, it will be a seamless move from the Oval Office into the 21st Century 'office in the sky'. Part of that is the size of the cabin, while part is the stability of the platform, with very smooth writing characteristics." Ramsey also noted the advantage of having an aircraft that has nearly 50,000 hr. experience. There are currently 146 EH101 derivatives sold and nearly 100 delivered to seven military forces in six countries, plus the Tokyo Police. The EH101 was derived from a 1980 joint venture created between Westland and Agusta following stated requirements by their respective governments to replace aging Sea Kings in the SAR role. A production go-ahead was given in January 1984. First flight was on July 6, 1993 and U.K., Italian and U.S. civil certification was approved November 1994. The EH101 was evaluated at NAS Patuxent River using a Merlin Mk III from the Royal Air Force's 28 (AC) Squadron, with a second aircraft attached for training purposes. Following the evaluation, the detachment of the two aircraft and crews, commanded by Squadron Leader Andy Balaam, were made available to the Lockheed Martin team for demonstration flights. As a result, Rotor & Wing was offered the opportunity to fly one of the aircraft for a Rotor & Wing evaluation. I met up with Balaam and his crews at Davison Army Airfield, Fort Belvoir, Virginia, just south of Washington, D.C. After the standard weather and procedures briefing in Davison flight ops, I was taken out to the aircraft by Sqdn. Leader Ges Charlton, who would be flying right seat while I flew left seat, and Flt. Lt. Steve (Loose) Cannon, who would be flying along basically as my tutor to answer any questions I might have. During the walk around, Cannon noted that the aircraft had been built with the major goals of survivability, maintainability, reliability and deployability. A key part of the survivability is the aircraft's self-defense mechanisms. Cannon pointed out the 360-deg. protective coverage provided by a combination of Raytheon laser detectors, a Doppler-based MAWS, Northrop Grumman AAQ-24 Nemisis directional infrared countermeasures (DIRCM) systems and BAE Systems AN/ALE-47 countermeasure chaff/ flare dispensers and Sky Guardian 2000 radar warning receiver. The EH101 also has triple redundancy on virtually all systems, including A.C. generators and hydraulic systems. The third utility hydraulic system is normally used to power ancillaries such as the hoist and landing gear, but can be used to supply either the primary or secondary hydraulic systems in the event of certain failures, Balaam said. Cannon noted that all the critical components are Kevlar-coated for additional protection, particularly the pilots' seats. While the pilots are dual-redundant, the aircraft is designed to be flown single pilot. Other survivability features include crashworthy crew and cabin seats, a reinforced cabin floor and an airframe structure designed to withstand a 15G impact. The squadron's EH101s are due to return in mid-April to the U.K. from Bosnia. They are scheduled to deploy to Iraq later this year, where they will be involved in combat SAR, or CSAR, Cannon said. For that, additional advance warfighting capabilities beyond just the self-defense mechanisms are planned. While there are no current plans to arm the RAF Merlins, the aircraft has hardpoints on the fuselage for external weapon systems, with work ongoing to field a 12.7-mm. mini-gun capability. There are also placements for machine guns controlled by door gunners. For deployability, the US101 will have a folding tail and removable blades, although it also has the option of having a folding rotor head, allowing the blades to be swung back and tied down above the tailboom. A single EH101 or US101 can be carried in a C-17, while three can be carried in the C-5. However, Michael Malone, director, Air Force programs for AgustaWestland, said that the reliability figures that are being built up in the aircraft have increased its capability to be self-deployed. 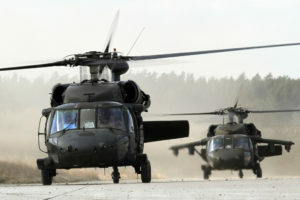 Previously, helicopters being self-deployed required commanders to assume a certain percentage will be down for maintenance at the end of the deployment. "Now commanders can have confidence in getting all their aircraft there and immediately ready to go into operations." For the standard EH101, fuel is carried in four 820 kg. (276 U.S. gal.) crash-resistant, self-sealing tanks, with each engine fed by a dedicated tank. The fourth tank is used to top off the other three tanks in flight. The pilots are able to select a variety of cross-feed options as required. The Merlin Mk IIIs flown by the RAF carry a total of 3,200 kg. (1,077 U.S. gal.). The aircraft also has the capability of using Robertson Extended Range auxiliary tanks. Range depends on a wide variety of factors, but Cannon said that the RAF flew its EH101s from RAF Benson in England to Banja Luka, Bosnia, a distance of 860 nm, with only one refueling. To meet a Portuguese air force requirement for 12 SAR and fisheries protection versions, the aircraft flew out 400 nm., hovered for one-half hour, picked up the equivalent weight of eight passengers and flew back on one fuel load. "They did it by cutting back one engine," Cannon said. Both the Royal Navy and the RAF cut back one engine in flight as a matter of course. The RTM322 engine is rated at 1,870 shp. continuous, while the T700-T6A is rated at 1,718 maximum continuous. The transmission is rated at 4,982 shp. maximum continuous, so with all three engines operating, the aircraft is transmission-limited. When one engine is shut down, the other two engines automatically adjust to take up the slack. This was demonstrated in flight, and had I not been watching the gauges and noted the slight increase in power settings, plus the sharp drop-off of the third engine instruments, I would have had no clue that one engine was out. We were very lightly loaded on a cold day virtually right at sea level, so there was no critical load on the engines. However, even at maximum load, with one engine out, the remaining two engines still provide the transmission with 70- to 75 percent of available power. The transmission has a minimum 30-min. run-dry capability, and has been demonstrated to 60 min. The EH101 has tricycle landing gear and was initially equipped with twin nose wheels and single-wheel main landing gear. However, the RAF, along with most other customers, has opted for twin main landing gear to spread out the footprint when landing in soft terrain, Cannon said. The wheels are hydraulically retractable using AP Precision Hydraulics. The main rotor system consists of five main rotor blades and an elastomeric bearings rotor hub. The rotor blades have the ax-head shape BERP (British Experimental Rotor Program) blade tips designed to improve aerodynamic efficiency at high speed. Adrian Popa, director's office of Hughes Laboratories, said it is estimated that the BERP tips improves the efficiency of the EH101 by up to 30 percent. The blades have a 10,000-hr. life expectancy and are equipped with electrically heated de-icing mats to allow operation into known icing conditions. Cannon said the system is computerized to de-ice as needed. He noted that the Canadians have taken their Cormorant model of the EH101 down to -24C in clear air, and the ultimate goal is to test the system down to -45C in clear air and -24C in precipitation. Along with the computerized de-icing rotor blades, the aircraft has electrically heated anti-icing mats on the tailrotor, electrically heated windscreens and engine intake electric heater mats combined with engine bleed air anti-icing. The RAF Mk III has a rear ramp leading into a spacious cabin area rigged with side-facing troop web seats. Interior length of the military version of the EH101 is 21 ft. 4 in., while width is 7 ft. 5 in. at the floor and maximum width of 8 ft. 2 in. Height is 6 ft. 2 in. The maritime version varies slightly. After I got strapped in, Cannon introduced me to HUMS, or the integrated Health and Usage Monitoring System. This system monitors the aircraft's flight-critical systems in real time and alerts the pilots to any potential problems or failures long before they occur. It allows the pilot to determine the severity of any problem long before it becomes severe and take whatever steps are necessary to continue the mission. HUMS uses 10 sensors around the aircraft to monitor all four major components-airframe, engines, transmission and avionics-providing built-in test equipment (BITE) to monitor maintenance and parts requirements. Charlton explained the cockpit layout and panel displays as best he could in the time we had. The aircraft's panel display consisted of six cathode-ray tube (CRT) display screens and two FLIR/mission data screens plus three traditional analogue standby flight instrument gauges on each side. The CRT screens consist of two engine monitors centered over the center console, a large mission data screen on each side of the engine monitors and two smaller flight instrument screens above and below each other in front of each pilot. Liquid crystal displays (LCDs) are available for the EH101 and are being put on aircraft for current and future deliveries. Although the RAF flies with a single GPS, dual GPS, TCAS and GPWS are being delivered to the Danish Air Force. This capability is being made available on the US101 being submitted under the VXX program. The RAF EH101s avionics are being upgraded to make them interoperable with U.S. forces in Iraq. An MOU is now out that will allow use of the Merlin Mk IIIs under a Joint Personnel Recovery program with the U.S. forces. The RAF will upgrade its FLIR/Mission Data screens to include a General Dynamics moving map display that is currently available on newer versions of the EH101. The EH101 is equipped with twin 1553B multiplex databuses which link the helicopter's management, avionics and mission systems; as well as allowing future advanced avionics packages to be installed. The flaw with doing pilot reports and constantly flying different aircraft is that just as I start to understand the displays, the flight's over. However, Charlton told me that the system is easy to learn, with standard transition time into the EH101 consisting of six to eight hours in the simulator followed by a trip in the actual aircraft. Starting the aircraft's FADEC controlled engines is easy, although taxing it takes getting used to. Steering the aircraft consists of pushing forward a bit on the cyclic to get it moving and steering with a thumb-operated steering button. There is a strong inclination to try to use the foot pedals to steer. This inclination should be ignored. The best way would be simply to take your feet off the pedals. Unfortunately, that is where the brakes are, so it's a matter of learning to use your thumb rather than your feet to steer. Steering from the parking tarmac to the runway was actually very simple. The biggest problem, other than the foot pedal thing, is remembering how far back the main landing gear is and not starting a turn too soon, putting the rear landing gear into the dirt. Our plan was to start with a photographic flight through Washington using the low-level routes normally restricted to U.S. military and law enforcement helicopters, then head south for a full flight demonstration. Charlton flew the first part, up the Potomac River from Fort Belvoir, through Washington and over the Cabin John Bridge, providing the shots for the photographer in the second EH101 flying just ahead of us. After we cleared the Washington control zone, I took the controls and turned the aircraft south back toward Fort Belvoir. I climbed up to about 1,500 ft., at which point Charlton showed me the Active Control of Structural Response (ACSR) system designed to make the aircraft vibration free. 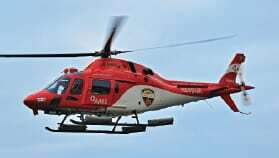 On helicopters, "vibration free" is a relative rather than absolute term. The aircraft was flying very smooth with virtually no vibration-certainly none that would be noticed unless you were consciously looking for it. When Charlton flipped the ACSR switch off, the vibration range was between moderate to severe at high speed. It was still controllable, but not a lot of fun to fly. Essentially, the ACSR neutralizes vibrations by automatically picking up vibration frequencies and countering them with an equal and opposite frequency. This produces roughly an 80-percent reduction in aircraft vibration. There is an oft-told example of the vibration-free capabilities of the aircraft dealing with a British general who was able to read and write while sitting in the back during a flight in Bosnia. This seems plausible. I had no trouble writing notes on the flight. The true test of the aircraft's stability came when I asked to make a PAR approach into Davison AAF. Charlton called the tower and got us linked into their approach radar. The controller headed us south, across the Potomac, then turned us back northwest for the Runway 33 approach. Having been stationed at Davison AAF immediately after returning from Vietnam flying for the Priority Air Transport division, I was very familiar with PAR approaches into Davison in both CH-21s and UH-1s. I had, in fact, gotten quite good despite having to fight the aircraft for the 2-3-deg. turns required by the controller. Despite being some 35 years out of practice, I found the EH101's stability allowed a very smooth approach, every easily adjusting two degrees to the right or three degrees to the left as required. The only problem came when the controller asked me to "continue left turn to 332" when I was already at 330. I'm not sure if the RMI was off a few degrees or I was just too rusty, but when I hit decision height I was about 100 ft. right of the runway. After breaking off the approach, I climbed back to about 1,500 ft. and headed further south toward Stafford Airport, a small general aviation airport near Fredericksburg, Virginia that the RAF had been using as a base for demonstration flights to the press and other interested parties. As mentioned, the aircraft is very easy to fly, with great stability. It has a dual digital Smiths Industries OMI SEP 20 automatic flight control system, which provides autostabilzation and four-axis auto-pilot control. Once the altitude, heading and airspeed are established, it is pretty much hands-off flying. Both the cyclic and the collective have a force trim button so any required adjustments are easy to make, then lock in. On arriving at Stafford Airport, my unfamiliarity with the aircraft and the airport caused my initial turn to base and turn to final to be a bit less than exact. However, the stability of the aircraft allowed easy corrections so that my final approach ended up more or less where I wanted it to be. A second flight around the pattern produced a somewhat better, and satisfying, result. The aircraft is easily controlled at slow speeds, and I had no trouble bringing it down to the exact spot I'd chosen. However, having grown accustomed to virtually no vibration during the flight, I was a bit surprised at the amount of vibration as I passed out of translational lift. It wasn't excessive, just more than I expected considering the smoothness of the flight up to that point. In fairness to the EH101, I should note that virtually all helicopters have some degree of shudder going through the translational lift regime. We then moved over to a large grassy area for some hover practice. We had about a 10-15 kt. wind that played a bit with the large fuselage of the aircraft, but otherwise it hovered well both in and out of ground effect. At one point, I brought it to a hover with a direct crosswind while Charlton put it in hover hold mode. It held altitude and heading absolute, but tended to drift a bit with the wind. A simple movement of the cyclic moved it back to the original spot and held it there. Even with the tail directly into the wind, the helicopter was easy to hold in position with no loss of tailrotor authority-although, as noted, it was lightly loaded. The only problem I had was in my initial attempt to make a 90-deg. hovering turn to the left. No matter how much I pushed left pedal, it wouldn't turn. Charlton explained the pedals contain microswitches that decouple the AFCS heading hold facility. Pilots tend to spread their feet out on the pedals for hovering, which prevents the decoupling of the microswitches in the center of the pedals. By moving both feet inboard, a small pressure on the pedal decouples the switches and turns the aircraft smoothly in the hover. As with any helicopter, it's just a matter of learning the aircraft's idiosyncrasies. One of the unique things about the EH101, something I had not seen outside of the old Sikorsky S-64/CH-54 Sky Crane, was that the aircraft can be controlled by the load master during hovering for SAR operations or anything else that would require control of the aircraft from the cabin area. The RAF Merlins have a large fisheye type bubble protruding from each side of the fuselage that allows the load master to watch the action while operating the hoist. While we were in a hover, Charlton flipped the appropriate switch and turned the controls over to Flight Sergeant Dino Hempleman, who demonstrated controlling the aircraft from the cabin area. The last bit of demonstration came after I set the aircraft down on the runway about halfway between the two turnoffs. I had the option of taxiing almost the full length of the runway to the next turnoff, or picking up to a hover and turning it around. However, Charlton showed me how to lock the nose wheels in a full 90-deg. turn, then literally turn the aircraft 180 deg. within its own length-an excellent facility for maneuvering in confined ramp spaces. For a medium-lift helicopter, the EH101 responds well in all flight regimes and appears to be a good candidate for the U.S. market. Moss noted that a key advantage of the EH101 is "the ability to take the aircraft and spiral up to whatever configuration is necessary by the customer. The aircraft is at the beginning of its life. Ergo, you can grow the helicopter in many different ways quite easily. We feel that is a distinctive advantage over our competitor." As for the "Buy America" controversy, Moss said that it is a "two-way street," trading between the United States and its allies. "We sell all kinds of programs abroad-JFS, C-130J, the list goes on. But how often does the U.S. Government buy a major system from the Europeans? Not very often. This is a unique opportunity where you have a product already developed, already paid for by the governments of the U.K. and Italy, already selected by five NATO countries and Japan, that is available off the shelf and could be brought here and immediately go to work for us. So the taxpayer saves money, DoD gets a new asset, and it demonstrates that the United States is committed to a two-way street in defense trade."